Martin, Rachel & Bryan help Kyle command the podcast while discussing Atragon (1963)! Celebrating another Toho film and its fiftieth anniversary, “the crew” in this episode talks about the 1963 tokusatsu classic, Atragon (aka Keitei Gunkan / Undersea Battleship)! If you can’t tell, this is one of Kyle’s favorites in the non-Godzilla series. The movie features the fan-favorite creative team of Tomoyuki Tanaka, Ishiro Honda, Eiji Tsuburaya, Akira Ifukube & Shinichi Sekizawa in addition to its amazing cast. If that weren’t enough, Atragon adds both an incredible looking monster (Manda) and a fantastic new mech (Gotengo) to Toho’s roster. We hopped a few rails to other sidebars during the discussion so I hope it doesn’t get too Lebowski on you, but it was a really fun talk. 1/12 at 2pm PST The 3rd Annual Emergency Broadcast – It will be awesome! The next film (and first of the new year) in our Daikaiju Discussions is Daiei’s last ditch effort to save their studio, Gamera: The Super Monster (1980). You’ll hear me rip on the film a little in this episode, but I should give it more of a chance. 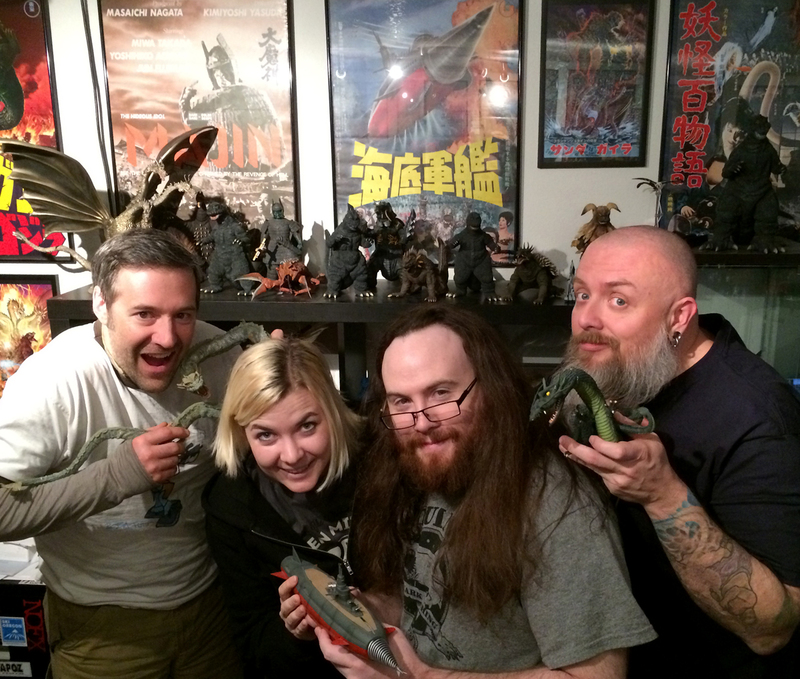 It’s a clip show, and essentially the Godzilla’s Revenge of the Gamera universe. As silly as it is, I’m going to do as much research as I can on this film so I can sit down and have a better understanding on what was happening at the time. For this film, we’ll be watching the Shout! Factory DVD – the one that was “double billed” with Gamera vs. Zigra on the same DVD. If you want to contribute to this discussion, make sure you have your “homework” turned in by Saturday, January 25th to be part of the discussion.